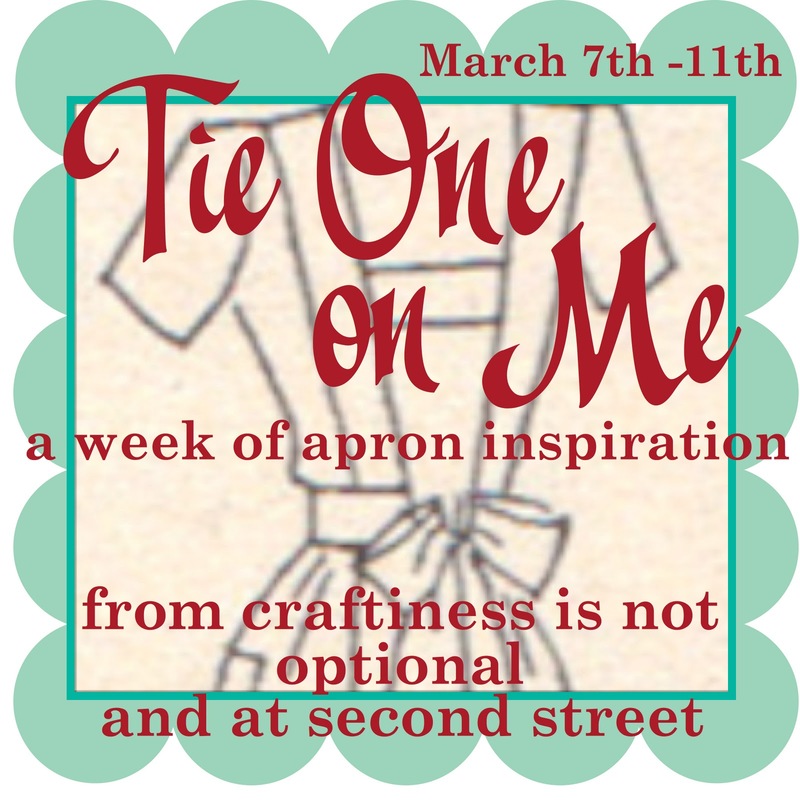 I am so excited for this week and hope you all are too. 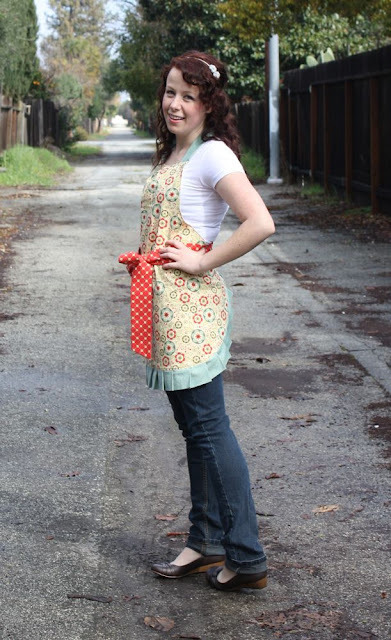 We're kicking things off with a tutorial for this amazing apron by Jess. Seriously isn't it the cutest. Come on, Check it out HERE. I'm heading right over! It's adorable. 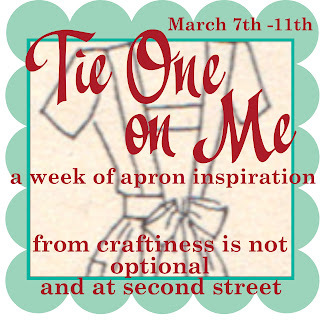 I love aprons that tie around the front. They seem to fit better! I wish sewing didn't scare me so much... that apron is darling!! 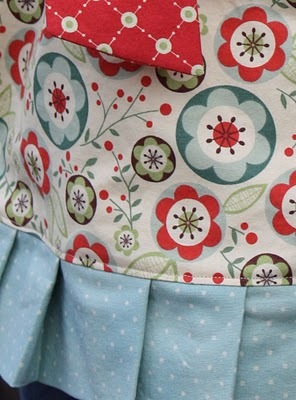 Oh that is so cute - love the fabric!